Cop Cot, which may mean "little cottage on the crest of the hill" in Scottish, is Central Park's largest wooden rustic structure. 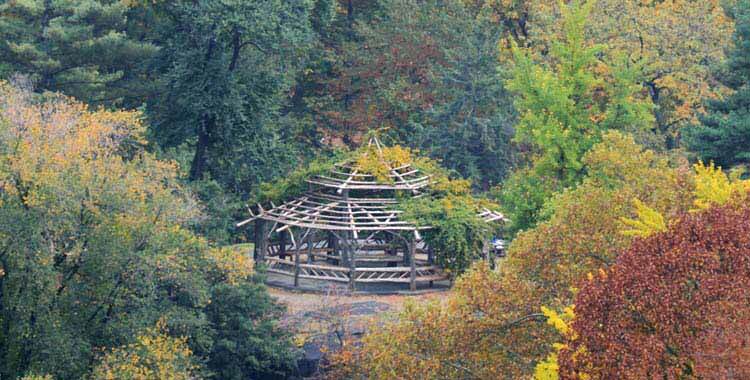 The shelter is perched atop a large outcrop at the Sixth Avenue entrance to the Park near 60th Street. In 2015 Central Park Conservancy renovated Cop Cot. The project included the installation of two new sets of rustic benches as well as railing reinforcement.